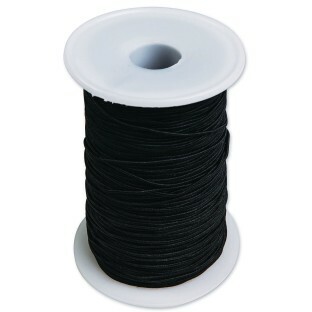 Heavy Black Elastic Cord 144yds. Durable, heavy weight all-purpose black elastic cord. Stretchy and flexible, it's great for all kinds of craft projects. Durable, heavy weight all-purpose black elastic cord. Stretchy and flexible, it's great for all kinds of craft projects. 144-yd. spool. Cord is 1.1mm diameter.